Are you ready to rock? Kick back and jam at the Battle of the Garage Bands at Paso Robles Downtown City Park. From 3:30PM to 6:30PM on June 21, local musicians will compete for top honors in a showcase of talent and celebration of the arts. Come out to cheer on your favorite local bands, discover new artists in the game, and enjoy an easygoing afternoon of live music in the beautiful outdoor setting. The Paso Robles event also features local food and drink vendors. Bring a beach blanket or lounge chair to sit down - or just plan to dance the whole time. 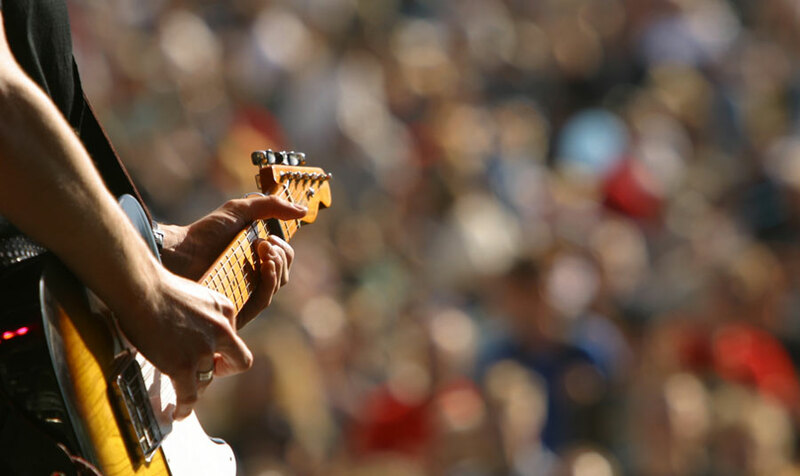 Get your jam on at Paso Robles Downtown City Park, and stay at our nearby hotel to make the most of your stay in California wine country. We're located just five minutes away, in a convenient location near downtown shops and restaurants. Our guests enjoy spacious guestrooms, ample amenities, and a charming boutique atmosphere. You'll love our complimentary deluxe breakfast bar, 24-hour fitness center with sleek new equipment, and free Wi-Fi. We also offer a business center, and flexible venue space for meetings and events. Would you like more information about this Paso Robles event? Do you have questions about our unique hotel? To learn more, please call us at your convenience at 1 (805) 238-6500. Our friendly, knowledgeable staff is standing by to help you plan your next vacation. Discover why our hotel is an ideal choice for your next wine country escape.